Ayala Malls Cinemas opens its screens at Glorietta 4 and Trinoma for the first edition of German Film Week on September 22 – 27, presented by the Goethe-Institut Philippinen. 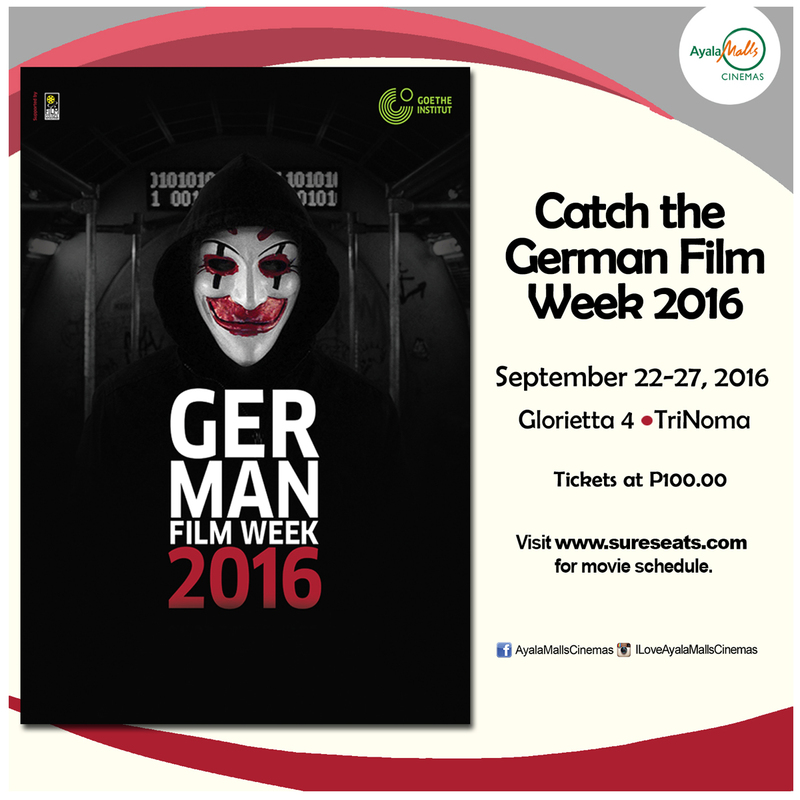 The German Film Week 2016, marks the first all-German film event in the Philippines in recent years. 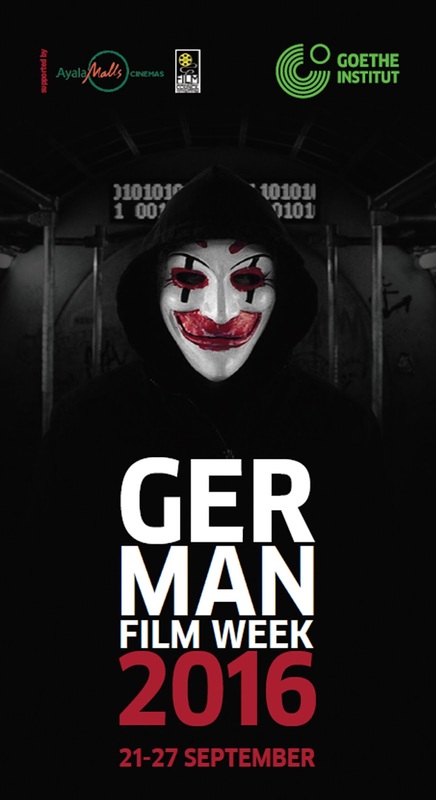 Opening the event is the premiere of “Who Am I -- No System Is Safe” (Who Am I -- Kein System ist sicher) by director Baran bo Odar on September 21 at Glorietta 4 cinemas, Ayala Center, Makati City. The film is about a gifted hacker who only feels at home in the virtual reality who finds an opportunity to demonstrate his talent to a wider audience. Regular screenings will follow from September 22 to 27 at Glorietta 4 and Trinoma cinemas. 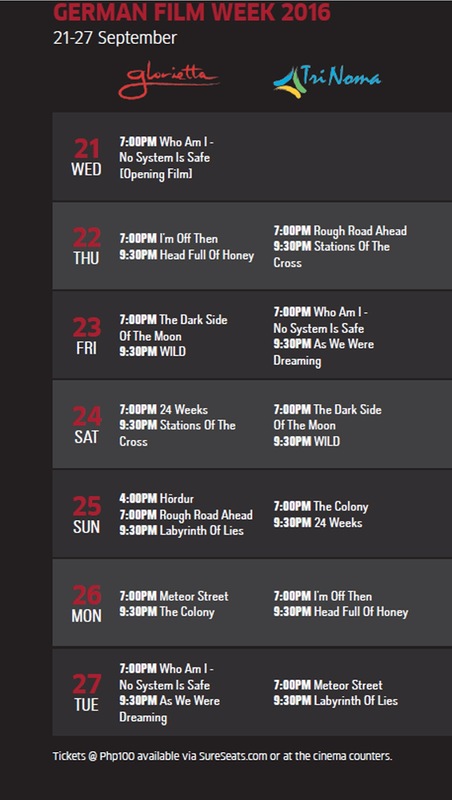 The Film Week is comprised of 13 hand-picked features released in Germany in the last two years. Tickets are priced at P100 and are available via www.SureSeats.com or at the cinema counters. The German Film Week 2016 is made possible by the support of the Film Development Council of the Philippines and Ayala Malls Cinemas. For details, visit the Goethe Web site.